This disease is caused by a fungus that attacks the plant and forms a white powdery spore on new tender growth then spreads out into other plant parts. The pathogen is usually favoured by warm, dry days and cooler, damp nights. The new leaves may become curled or twisted and the shoots may look badly deformed. In some varieties, the upper surface of the leaf may appear normal but the underside has extensive fungus growth. Starts as small white or gray powdery spots on leaves or new growth. 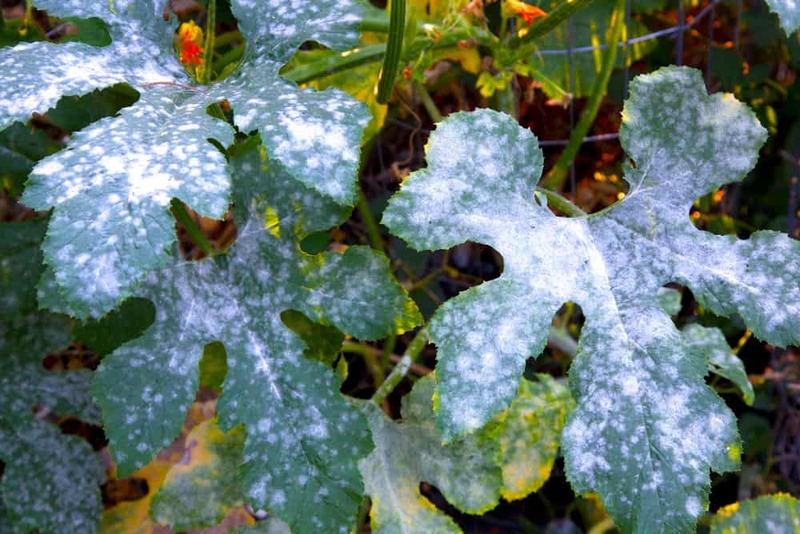 Leaves covered with white powdery mold, occurs in hot dry conditions.